This is a little piece of the medieval world just for you! Hand made (by me!) 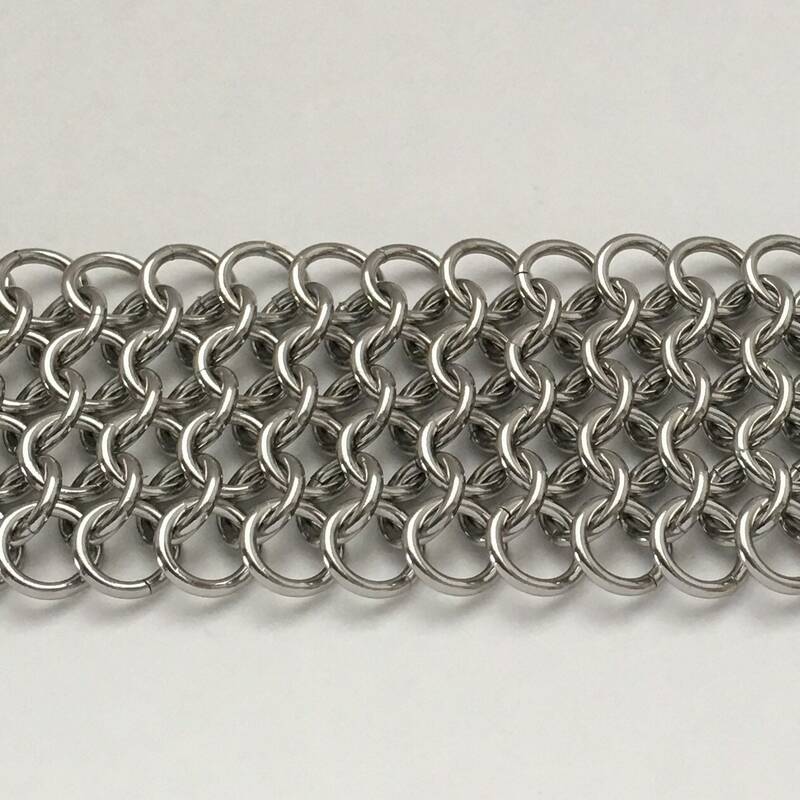 European 4-in-1 weave, where every ring is connected to four others in a seamless fluid mesh. You really have to feel this, it’s lovely. 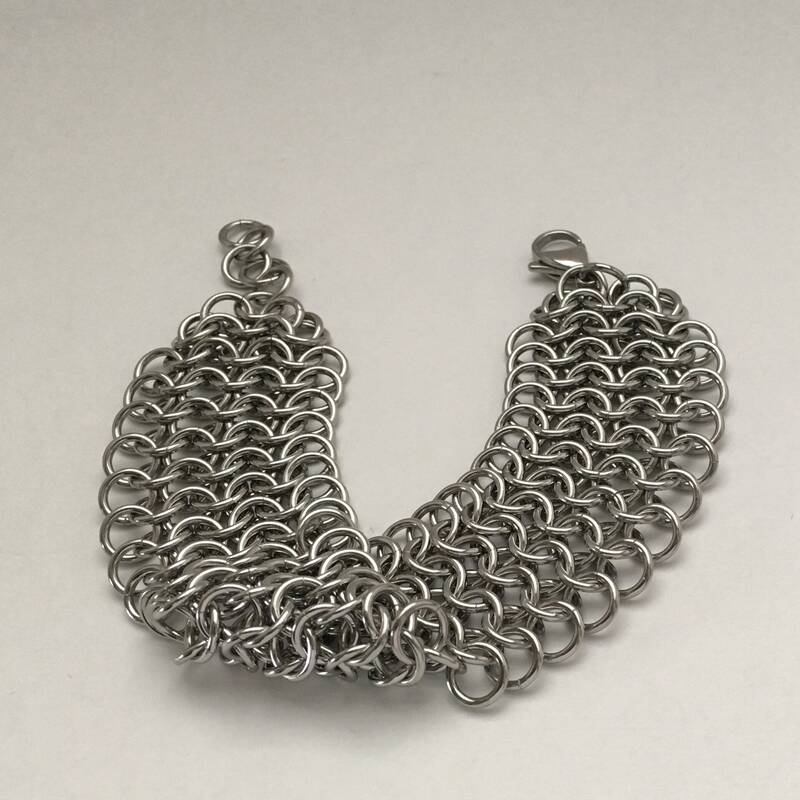 The bracelet width is just over 1 inch (1 1/8”, 29 mm) and it lies flat. 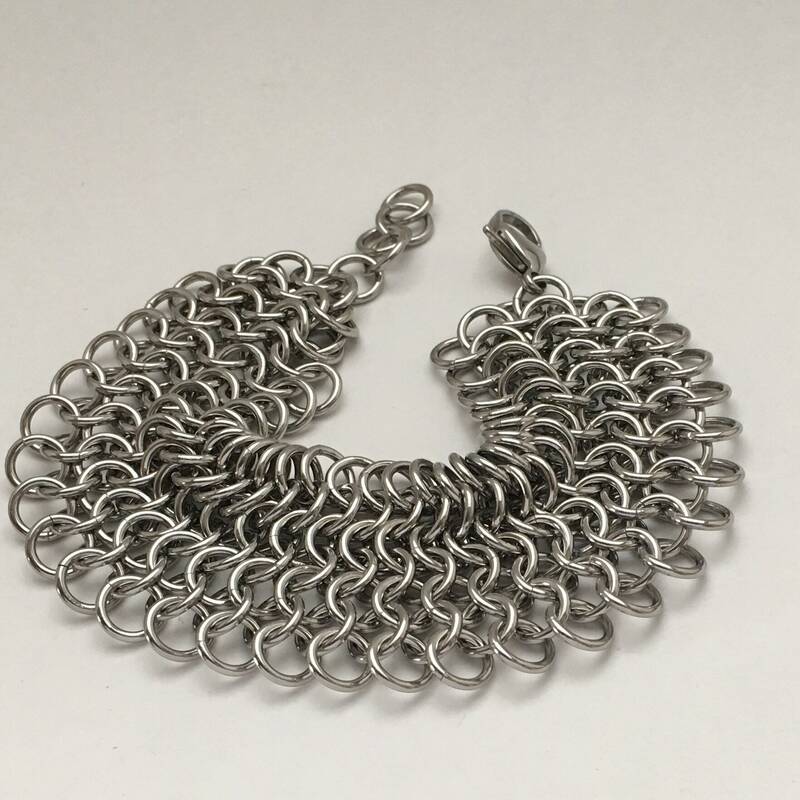 I can custom make wider bands - message me if you are interested. The material is 1.2 mm stainless steel. 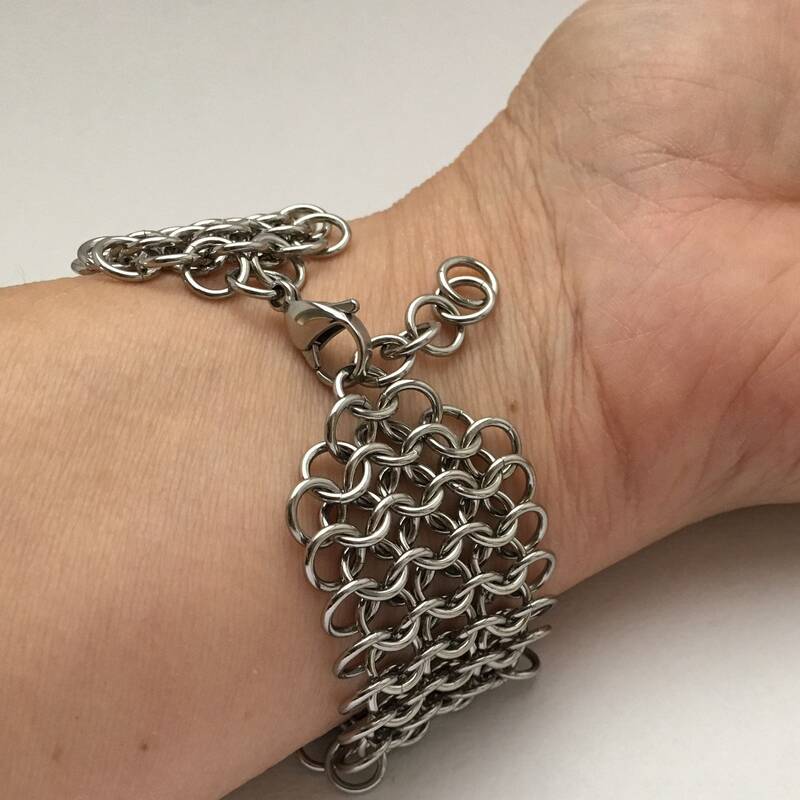 The clasp is a sturdy 15 mm lobster claw. 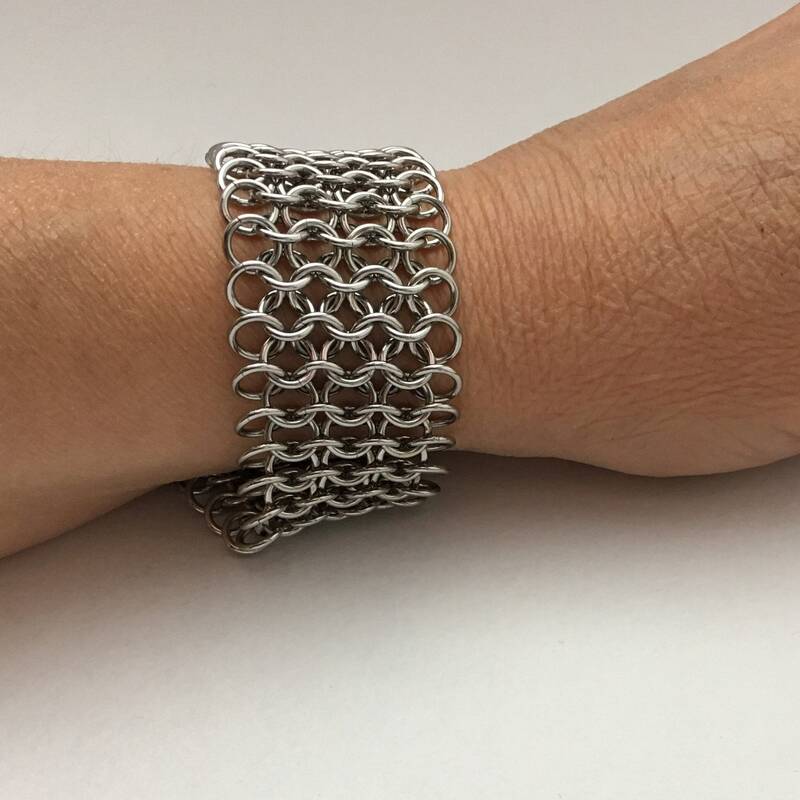 I include one inch of extension chain in addition to the stated size, to give you flexibility in the fit. 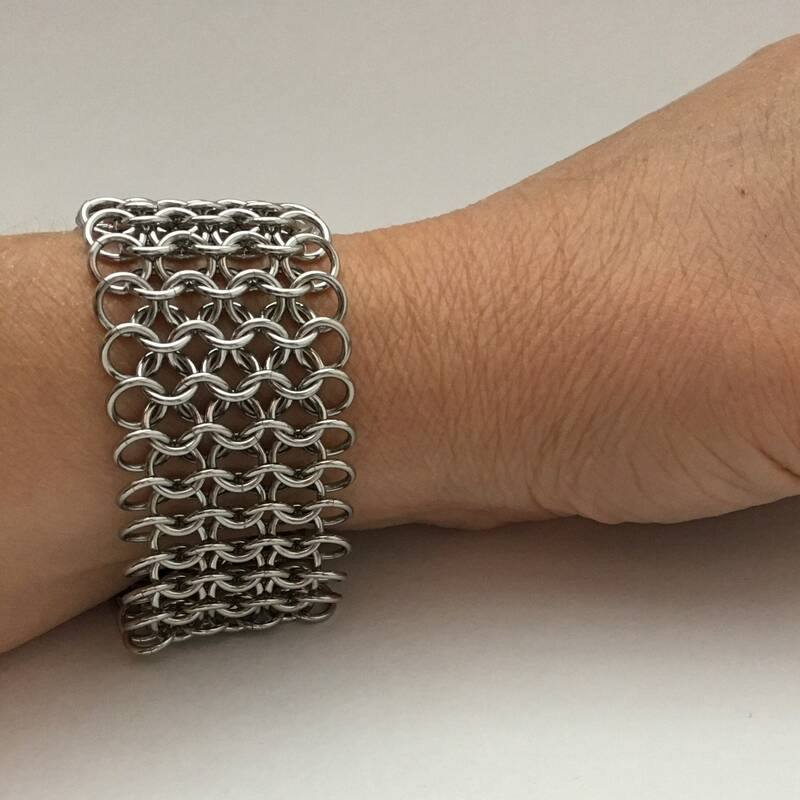 I size my bracelets using a bracelet mandrel so they fit true to the stated size. Measure your wrist and add the amount of slack you prefer - usually 1/2 to 1 inch. Stainless steel requires no special care and will not tarnish or fade. You can swim and shower in this.